This card was totally inspired by Regina from the Cricut message board. 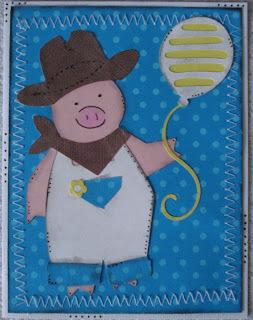 Ryan has requested a pig roast at his birthday party, so I thought this card would be perfect for him! Here is another card inspired by a fellow scrapper. This one is sooo girly, I just love it! 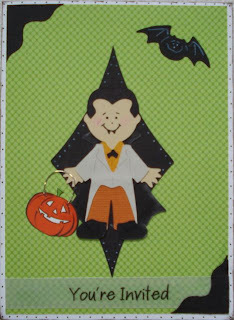 This card was inspired by a fellow scrapper on the Cricut message board. It even made me want to try my sewing machine again (this is such a challenge for me).